Sunset Park Music from 5pm on Friday will be a new feature this year. 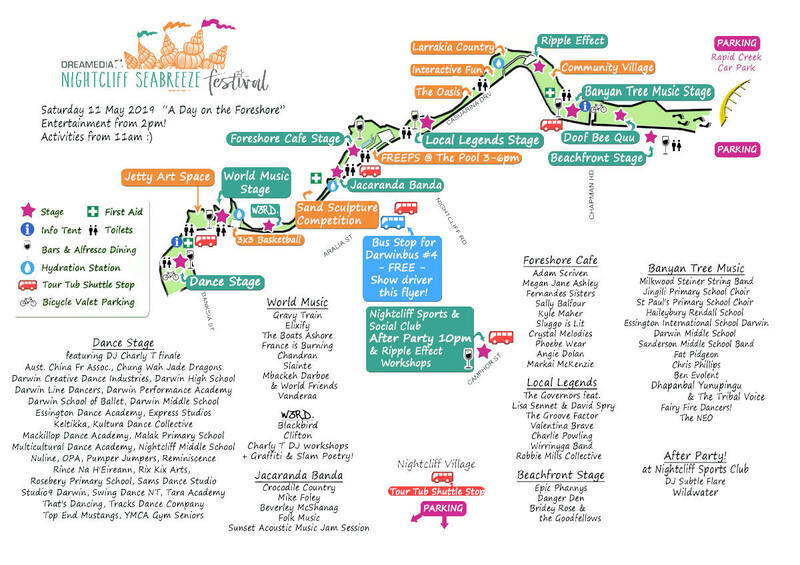 The Dance Stage will be open, dance groups will be showcasing, visual arts will be highlighted and al fresco dining with our food & drink stalls will be in full swing! 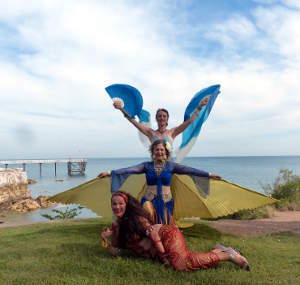 Then on Saturday 11h May the Nightcliff Seabreeze Festival will provide a fun filled day of FREE entertainment. 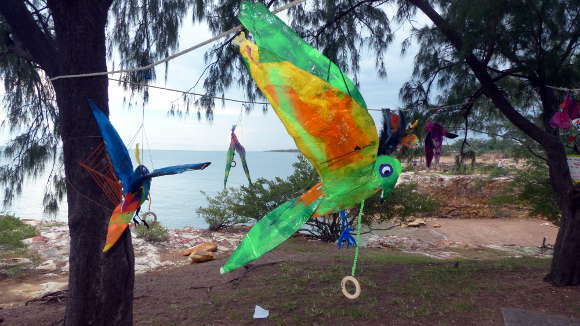 There will be prizes to be won, dances to watch and songs to be sung in this Nightcliff Community Festival under the palms along the cliff tops. 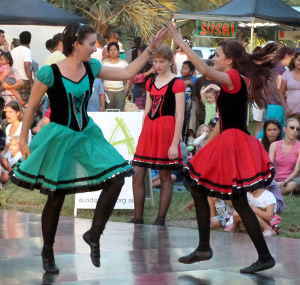 There will be two Community Choice prizes in 2019, one for individual artists and another for schools or groups. The Community Choice prizes are selected by Community Votes. All Community Choice prizes are determined by public vote on the day. More details of 2019 activities are still to be announced. 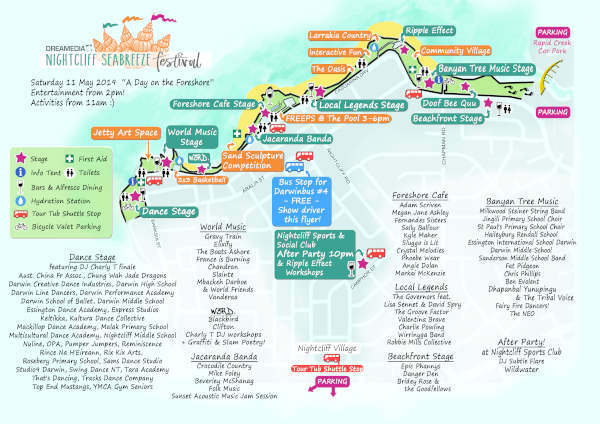 From 1.00pm to 10.00pm there will be lots of entertainment along the bike track, from the Jetty around to the Rapid Creek Bridge. 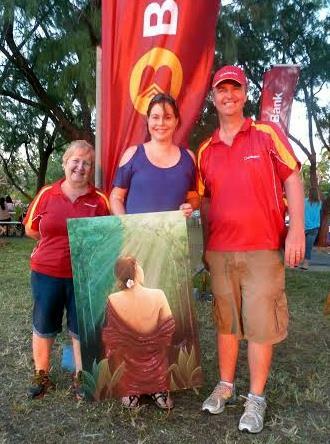 Return from Seabreeze Festival to Enjoy Darwin Home.